Carolyn Maxine McClain Gronlund (Grandma Carolyn) passed to her Heavenly home on August 16, 2016. She was born to Lawrence and Velma McClain in Colorado on March 17, 1927. She has a brother, Laurence, and a sister, Wilma. Later the family moved to Superior, Arizona where Carolyn graduated from Superior High School. She married her high school sweetheart, Oscar Theodore (Teddy) Gronlund. After Teddy served in the Air Force, they had two children, Carl Fredrick Gronlund and Catherine Maxine Gronlund Kraps. They bought the Smith Ranch south of Superior and filled it family and friends every weekend and holiday. Carolyn was preceded in death by her husband, Teddy; her parents, Lawrence and Velma; her sister, Wilma; and her beloved grandson, Doug. She is survived by her children, Fred and Catherine; grandchildren, Carl (Amber), Erik (Lisa), Chris (Sheree), David (Lori) and Carrie; 16 great grandchildren and countless other family members and friends who loved her dearly. Carolyn spent her life teaching children about God’s love for them. She held countless Bible clubs and Bible Schools and each included her great handicrafts that all of the children loved. 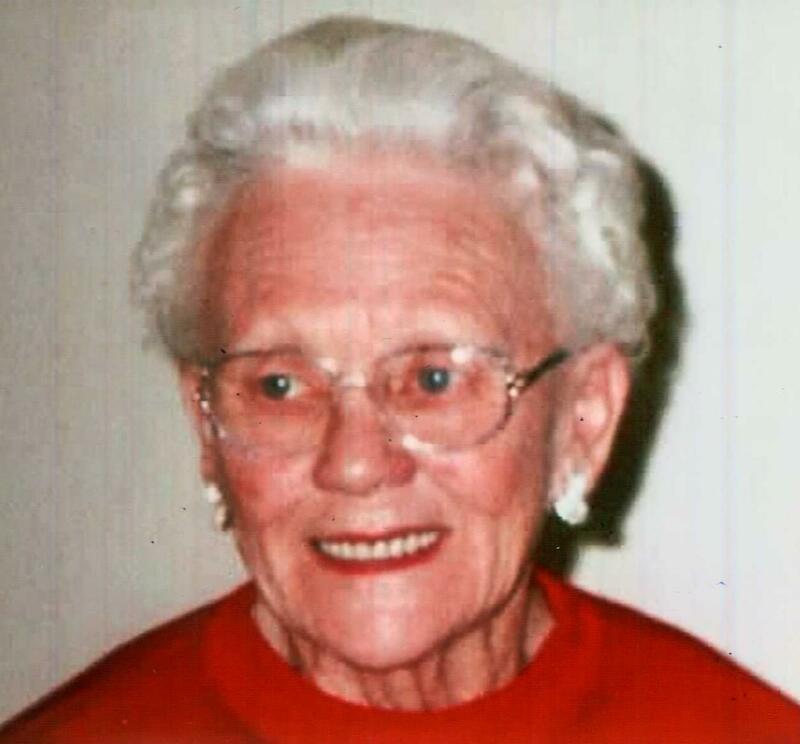 Carolyn lived in Superior for over 70 years and loved the mountains and desert scenery around Superior. She had many friends at the First Baptist Church and Superior Senior Citizens, which she enjoyed so much. Carolyn was a priceless piece of God’s handiwork and will be remembered with a smile and will be missed greatly by all who knew and loved her. A Memorial Service will be held at 1:00 PM on Saturday, August 27, 2016 at the Calvery Chapel (former First Baptist Church), 921 S. Belmont Avenue, Superior, Arizona. A luncheon will be served at Los Hermanos Restaurant following the service.